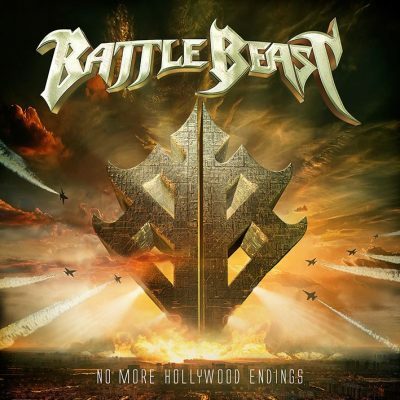 Dear friends, after talking about BATTLE BEAST‘s laters alum, “No More Hollywood Endings” in our March Releases -Podcast and many of hours of listening to the album, I decided to write down some thoughts about this Party Power Metal album by the Finnish band. Let’s begin with a brief history of BATTLE BEAST: after winning two big music contests (Wacken Metal Battle and a band competition held by major Finnish radio station “Radio Rock” in 2010) early in their career, their start was very promising. The success is still going on: their last three albums hit #1 position of the Finnish album charts. A big crash for the band (and later the fan base) was the break up with former main composer Anton Kabanen (now: BEAST IN BLACK) due to musical and personal disagreements in 2015. “Well… okay… WTF??!”. Those were my first thoughts. But luckily I watched the Track-by-Track videos and changed my mind. They present themselves as crazy and likeable in those videos, that I gave the album another chance and listened to it. A first time. A second time. Well, several times. The first five songs on “No More Hollywood Endings” are quite poppy and don’t make it easy to find access to the music if you expect the former Heavy Metal sound. But on the second part of the album there are some fu***** amazing songs. I can recommend the songs ‘Piece Of Me’, ‘Raise Your Fists’ and ‘World On Fire’. New and interesting are the strings and choirs on the album that create a bombastic Symphonic Metal sound. Some intros remind me of NIGHTWISH or BEYOND THE BLACK. There is also more than one ballad on “No More Hollywood Endings”: ‘Unbroken’, ‘I Wish’ ‘Eden’, such as ‘Bend And Broken’ are very emotional Power Metal ballads. Although the 80s sound is easy to listen, it also should be said, that the lyrical topics are more than some Power Metal party songs. ‘I Wish’ deals with the loss of a loved person, ‘Unbroken’ is about bullying and ‘No More Hollywood Endings’ tells a story about emancipation. So what to say after all? “No More Hollywood Endings” may not become my all-time favorite. But if you like Symphonic Power Metal with a big portion fun, I can definitely recommend the album. If you’ve been missing some humor in NIGHTWISH, this is an album you don’t want to miss. Do you like “No More Hollywood Endings”? Or do you prefer the old BATTLE BEAST? Tell us in the comments!